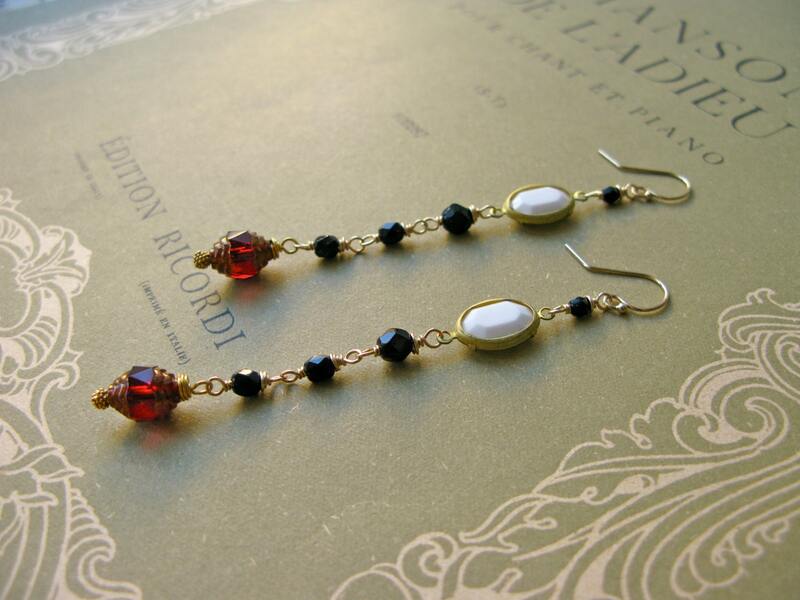 Vintage opaque white swarovski crystals in a brass setting and vintage≠w classic czech glass beads. Carefully wrapped with gold fill wire, hooks also nickel free gold fill. A joy to wear, sure to turn heads! Made with love and care in Helsinki.